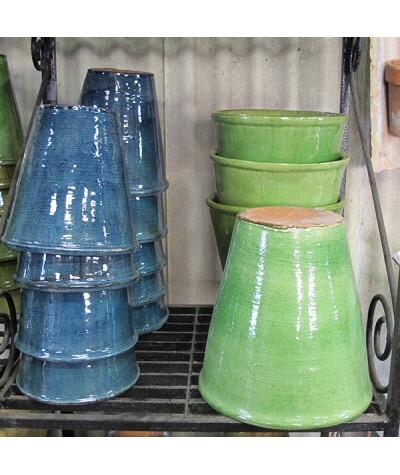 Contemporary designs in slip glaze make these stylish and unusual pots stand out on the terrace. 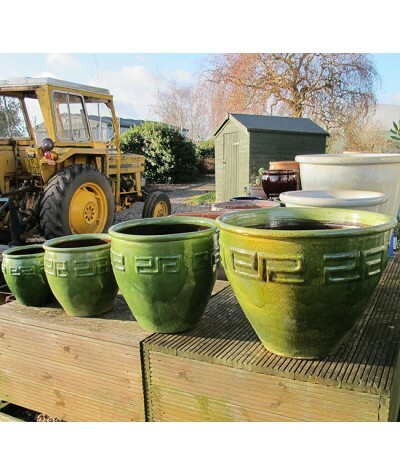 Ideal for summer geraniums. 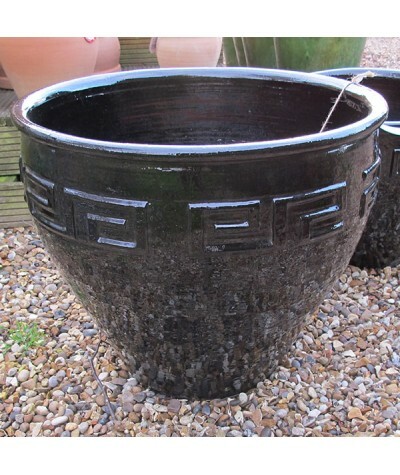 ..
Hand thrown and fired to temperatures in excess of 1200c these are extremely robust, frostproof pots.This Large glazed Egypt series pot comes in black or green and has a height of 42cm, top width o..
Hand thrown and fired to temperatures in excess of 1200c these are extremely robust, frostproof pots. 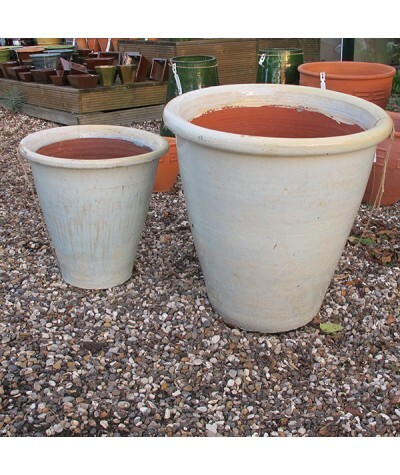 This toddy pot stands 60cm tall with a top width of 28cm and a bowl width of 45cm and comes in ..
Hand thrown and fired to temperatures in excess of 1200c these are extremely robust, frostproof pots. 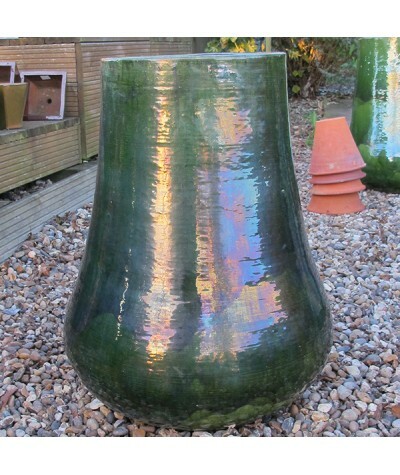 This large glazed giant tom pot is a beauty with a height of 68cm, top width of 65cm and base w..
Hand thrown and fired to temperatures in excess of 1200c these are extremely robust, frostproof pots. 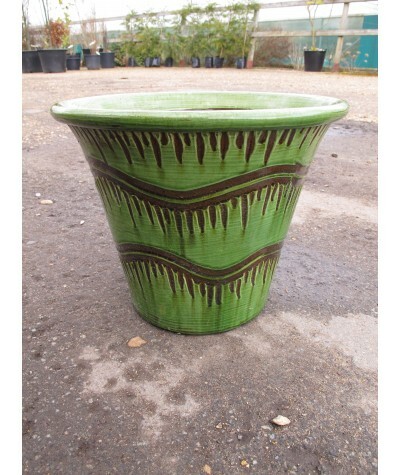 This medium glazed giant tom pot is a beauty with a height of 50cm, top width of 50cm and b..
Hand thrown, stylish, glazed tom pots great for interior decoration or growing plants in outside. 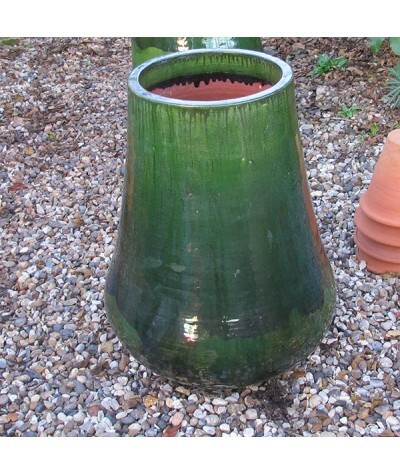 These have solid bases but drainage holes can be drilled with masonary bits. 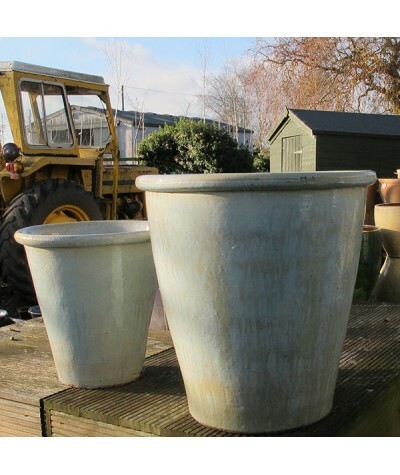 The large tom me..
Hand thrown, stylish, glazed tom pots great for interior decoration or growing plants in outside. 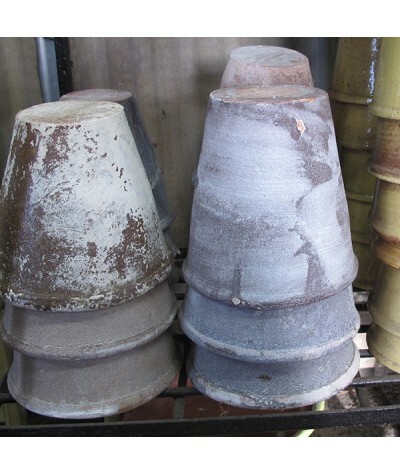 These have solid bases but drainage holes can be drilled with masonary bits. 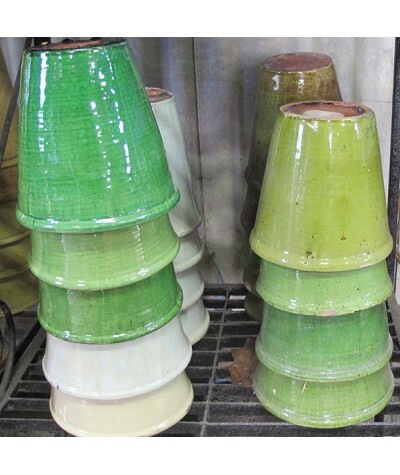 The medium tom m..
Hand thrown, stylish, glazed tom pots great for interior decoration or growing plants in outside. 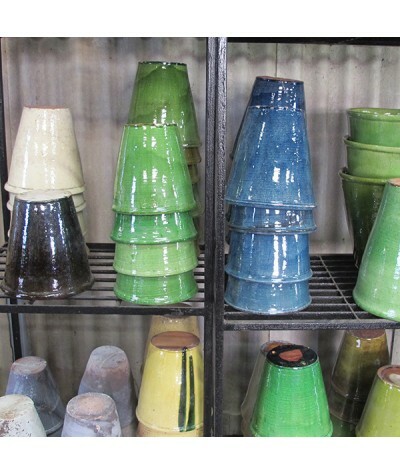 These have solid bases but drainage holes can be drilled with masonary bits. The small tom me..